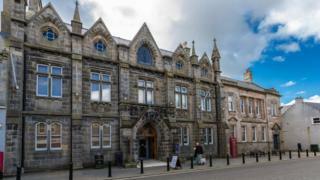 Discussions have taken place on the possibility of reopening Thurso's Caithness Horizons which closed last week. The operators of the museum and art gallery said increasing running costs and reduced income had made the running of the site "unsustainable". A "positive meeting" has since taken place with Highland Council. Opened in 2008, its collection includes Pictish stones and a control room from the Dounreay nuclear power complex. In a statement, the operators said: "A positive meeting has been held with the Highland Council to discuss possible options for long-term financial stability to allow Caithness Horizons to reopen. "Further meetings are schedule over the coming weeks. "The collection remains complete and in the same safe condition whilst the next steps are discussed with the Highland Council."